HomeFestival International des Jeux – rounds 4 – 6. Festival International des Jeux – rounds 4 – 6. The tournament thus far has not been a particular success. I have played six lower rated opponents and only won two games. Worse than that I have had positions that were more or less winning in rounds 1,2 and 5 and scored two draws and a loss. On the other hand I did win a very nice game in round 6. Anyway here are the results from round 4,5 and 6. 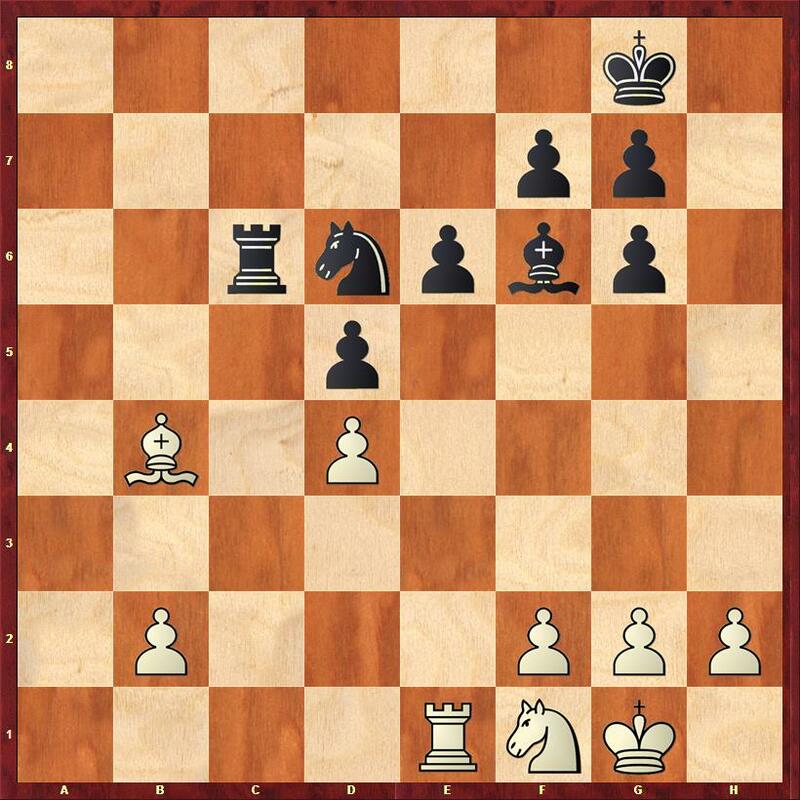 Although the early middle game was quite interesting, but the position quickly became completely blocked. With the knights exchanged and the heavy pieces about to be exchanged on the single open file I could see no reason to decline my opponent’s draw offer. I’d been grinding away for a while, and here I decided it was time to break through on the queenside 29. a5 bxa5? 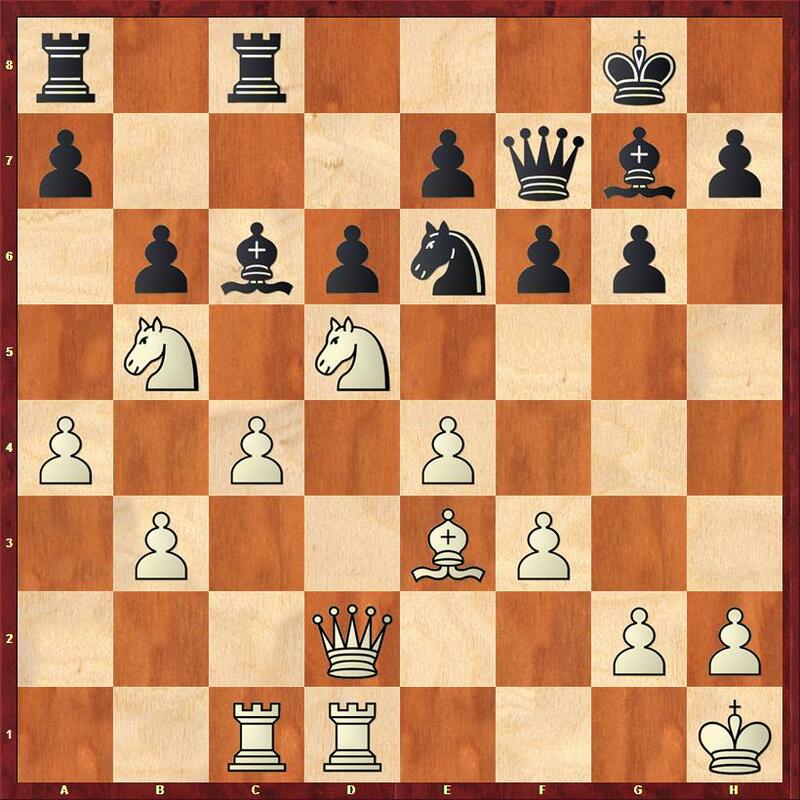 (The only move that holds the position together for black is 29… Nc5) 30. Qxa5? 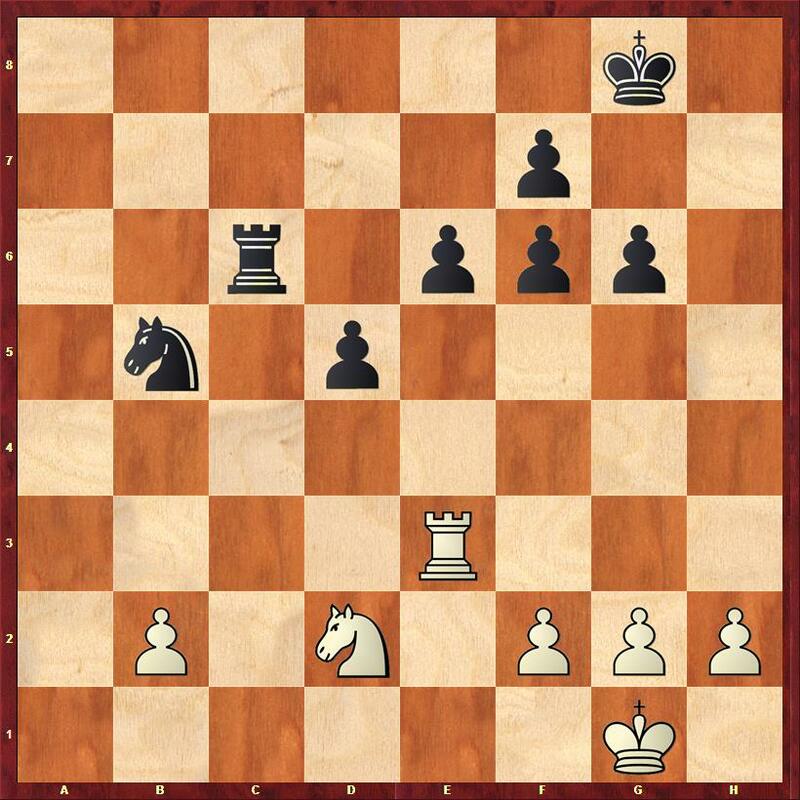 Here I automatically recapture the pawn, missing the obvious 30. Nxa7 winning a whole exchange. 30… a6? (black needs to get his rooks out of the way, so something like 30… Rd8 is required). 31. Nbc3? (31. 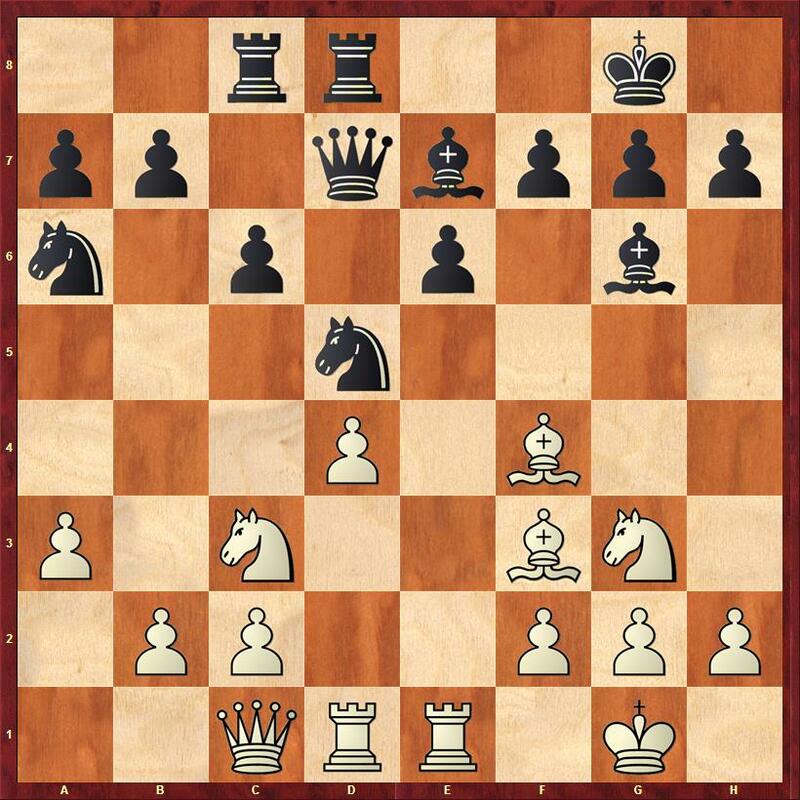 Na7 still wins an exchange) 31… Rcb8 32. b4 Rb7? the rook on a8 is now undefended, so I can carry out a decisive pawn break on the queenside. Black needed to play something like 32… Be8. White to play is still winning in spite of his earlier efforts. 40. Qb6? (This was the last simple win in the game 40. Nxa8!? Rxb5 41. cxb5 white has two rooks for the Queen, and stopping the b pawn from promoting will cost at least the bishop) 40… R8a7 41. Nb5 R7a6 42. Qb7 Ra2 43. Qd5? 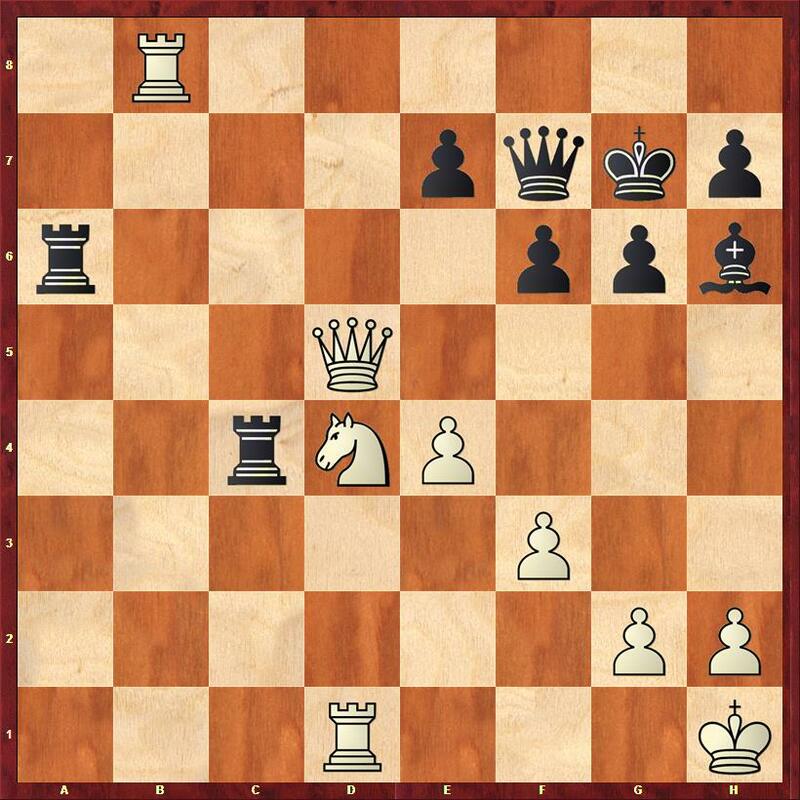 (I decided that I wanted to get the Queens off the board, but the bishop combined with the rook is a really powerful combination 43. c5 is still winning according to Houdini.) 43… Bh6 44. Rb1 Rc2 45. Nd4? Rxc4 46. Rb8+ Kg7? (46…Bf8 is equal) and here I played 47. Qxf7+ and offered a draw, aware that I had messed the position up. 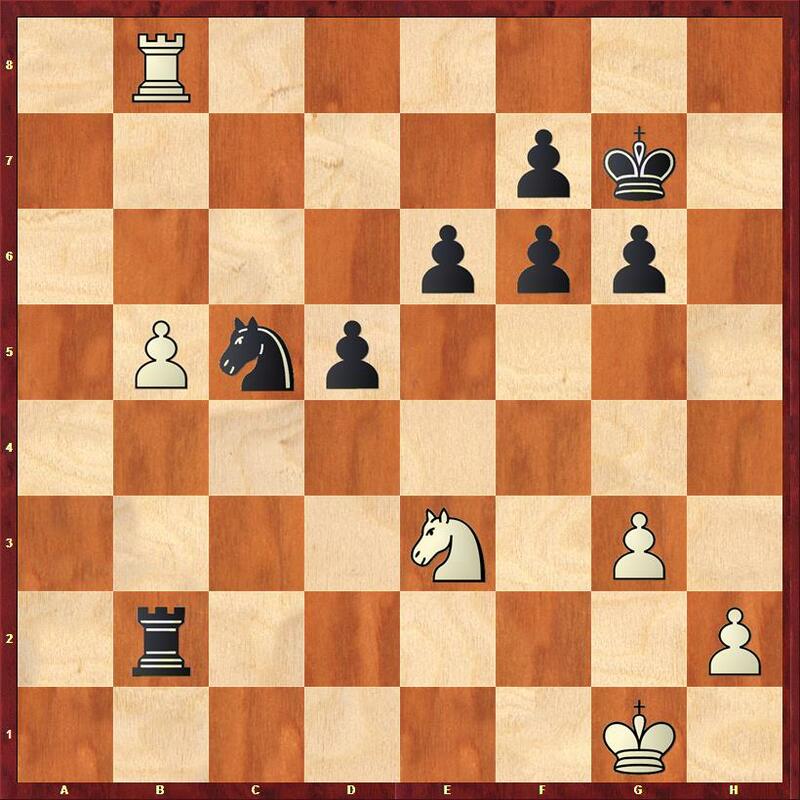 What I wasn’t aware of what that black’s last move was a major blunder so here is a puzzle – white to play and win – answer at the end of the article. 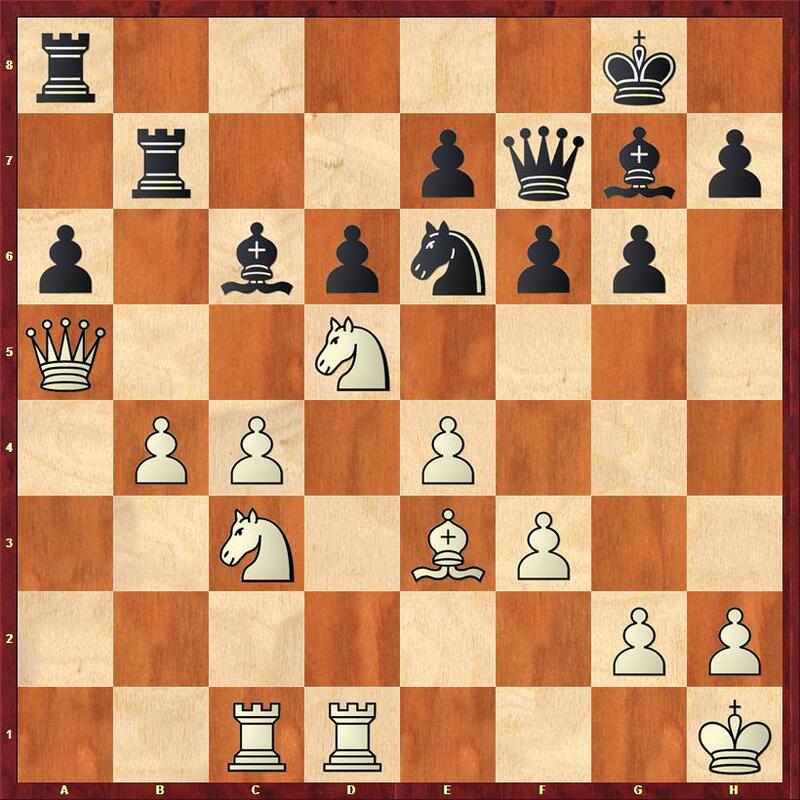 Black’s last move (Kg7) was a blunder – white to play and win. This game started about two hours after the previous one finished. I was feeling somewhat traumatised having messed up so badly and in my experience when this happens usually punishment follows. I was expecting the worst, and was rather surprised to play a fairly smooth positional win. white resigned because he has no useful moves. The schedule for the rest of the tournament is one round per day. Round 7 is tomorrow and I have white against Andrei Lazo of Moldova – at 2185 the highest rated player in the tournament. 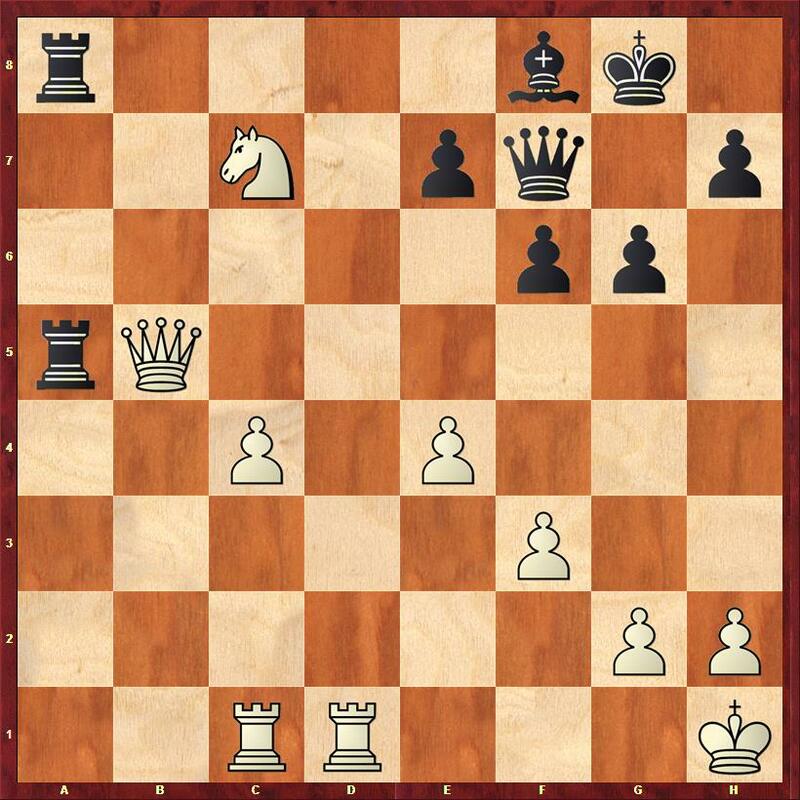 Kh4 52.Rg6, so instead of this he has to play 47…Rxe6 but then 48.Qxc4 and white has won an exchange. ← Festival International des Jeux – rounds 1 – 3.